Party in the back. New bras from every angle. 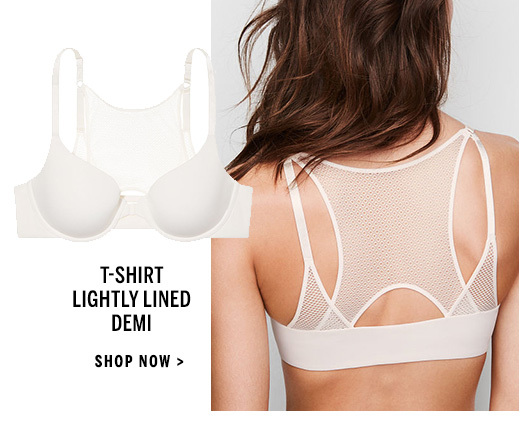 Your everyday fave with underwire support and light lining for shape, the dreamy demi is even more heavenly, with softer Memory Fit lining, our #1 push-up is sexier than ever and more!